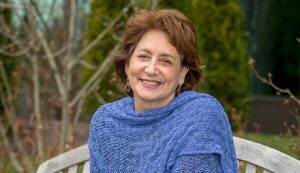 Binghamton University author Liz Rosenberg’s latest novel, Beauty and Attention, pays homage to Henry James’ masterpiece The Portrait of a Lady while bringing a fresh perspective to the story. 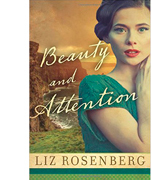 Beauty and Attention (Lake Union Publishing, 2016) unfolds in the 1950s as a recently orphaned young woman from Rochester, N.Y., goes to Europe to renew family connections. Libby Archer’s friends expect her to marry her hometown beau, but she seems to long for a grander adventure of some kind. Instead, Libby inherits a large fortune, falls victim to a scheming older woman and ends up married to a casually cruel man who has a young daughter of his own. Rosenberg says she has loved The Portrait of a Lady for years. She had a long-running debate with her late husband John Gardner and English department colleagues Bill Spanos and Susan Strehle about whether the original book had a happy ending. Decades ago, she even worked the story into a screenplay. The producer who was interested suggested that she modernize the script. And while she initially dismissed the idea, she eventually came to see it as an avenue to revisit a beloved story. In Beauty and Attention, Rosenberg keeps the basic structure of James’ plot while switching the locations as well as the time in which it’s set. Rosenberg, who lived in Northern Ireland for six months as a Fulbright scholar several years ago, takes the story to Northern Ireland (vs. England), Rome (rather than Florence) and Rochester (vs. Albany). The new work has a distinctly cinematic feel, thanks in part to the attention Rosenberg devotes to details of fashion. Dresses with telescoped waists, a black Chanel suit, Moondrops lipstick and Bermuda plaids all take their turn on the page. Rosenberg does tweak the storyline to make Libby’s situation more difficult and to create a compelling reason that she stays in a miserable marriage for as long as she does. Secondary characters also morph quite a bit in the update. Libby’s chronically ill cousin, Lazarus Sachs, and her best friend, journalist Henrietta Capone, are more modern creatures than could’ve existed in James’ story. As a novelist and a poet, she says, she’s always rethinking the choices she has made in her work. This project gave her an opportunity to consider other modern retellings of classic books. The Innocents by Francesca Segal, an update of Edith Wharton’s The Age of Innocence, is an example of a well-constructed retelling, she says. The Hours by Michael Cunningham isn’t a straight retelling of Virginia Wolf’s Mrs. Dalloway, but it also succeeds in bringing a new view to a familiar book.